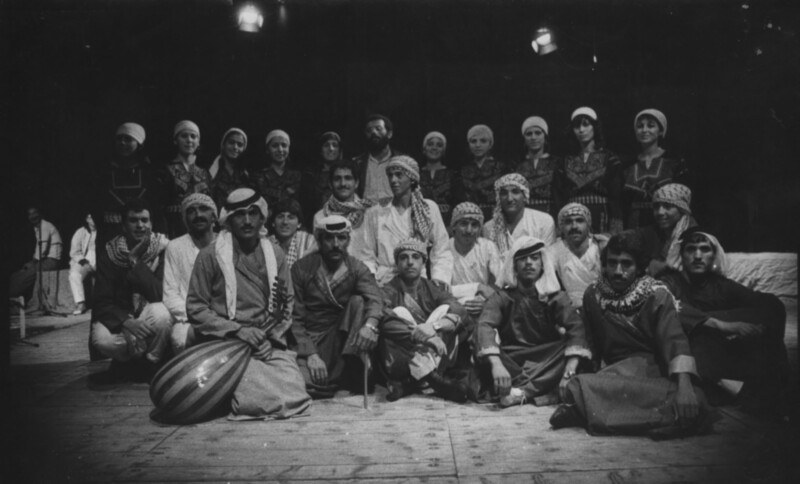 This production was a major pillar in El-Funoun’s productions laying the foundations for the identity of Palestinian dance and for the Troupe’s increasing popularity. “Wadi a-Tuffah” was El-Funoun’s first experience in presenting a story in dances and songs. The story started with bidding farewell to the land in search of happiness and well-being abroad, and ended in returning to the land and embracing it, thereby achieving the sought after happiness. Most of the songs and dances were based on folkloric tunes and themes, while some were written for the production and were inspired only by folklore. The Troupe performed “Wadi a-Tuffah” at Birzeit Nights Festival and won First Prize.